Vauxhall has confirmed its all-new Astra Sports Tourer is to debut at the 2015 Frankfurt Motor Show. The Sports Tourer is based on an all-new lightweight vehicle architecture with a new design, powertrains and technology. Extending the 'dynamic lines' of the five-door, the slightly arched sloping roofline gives the Sports Tourer a longer appearance - an effect that is further enhanced by the divided C-pillar. Vauxhall describes the Sports Tourer as having a 'stable, robust and safe stance' thanks to the muscular rear-wheel arch contours and the divided rear light clusters. The new Astra ST has the same dimensions as the outgoing model yet offers more luggage space, with total cargo capacity now at 1,630 litres, thanks to more efficient packaging. For the first time on a Vauxhall, the tailgate can be opened without a touch or a remote control, via a simple small kicking motion under the rear bumper. A further kicking motion under the bumper will close the tailgate. The system can detect any obstruction and stops the mechanism in case of an emergency and the tailgate can still be opened by a switch on the driver's side of the car or via the key's remote control. 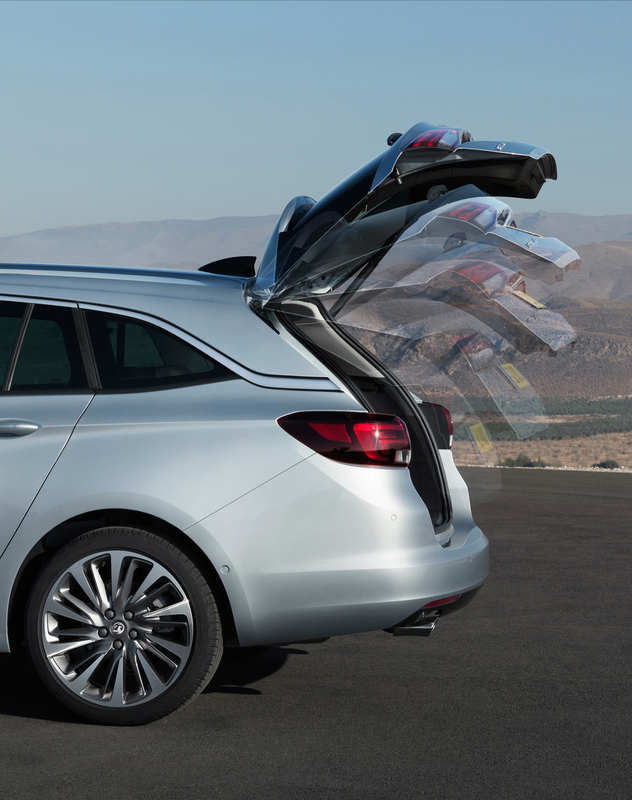 In order to increase loading space the Sports Tourer comes with 40/20/40 foldable rear seats enabling even more flexible loading space configurations. The 'FlexOrganiser' product range with side rails, dividing nets and various fastening options is available as an option so that all loaded materials can be stored safely and tidily. The Astra Sports Tourer is available with a choice of petrol and diesel units ranging from 100PS to 200PS - including an all-new 1.4-litre (150PS) ECOTEC Direct Injection Turbo and the recently-launched 1.6-litre CDTi 'Whisper' Diesel. A 200PS version of the 1.6-litre ECOTEC petrol will be revealed at Frankfurt. Depending on the model and trim level, it is up to 200kg lighter than its predecessor. The new vehicle architecture plays a major role in the weight reduction according to Vauxhall. Every component was checked for compact design and lightweight materials, with the body shell weight alone reduced by 20 per cent from 357kg to 280kg. 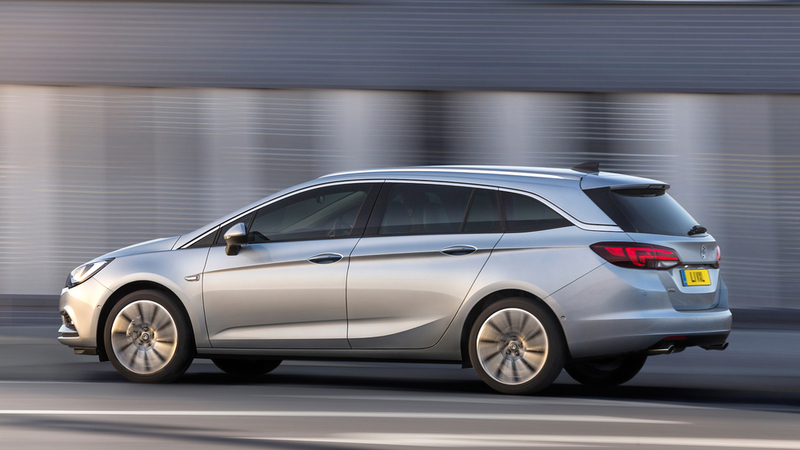 The Astra Sports Tourer also features OnStar connectivity technology which is now available across Europe. OnStar includes high-speed 4G LTE mobile network, emergency response notification and stolen vehicle recovery alert. The Sports Tourer is also one of the first vehicles from a mainstream manufacturer to get Apple CarPlay and Android Auto, available through a new version of the IntelliLink infotainment system. The all-new Vauxhall Astra Sports Tourer will be in showrooms next year.